﻿ Hotel Charles, Budapest | FROM $47 - SAVE ON AGODA! "Staff: Each and every staff is very welcoming and friendly." "The room was lovely and clean." "Staff very friendly with reasonable restaurant on site." "Staff are nice and I had nice experience there." 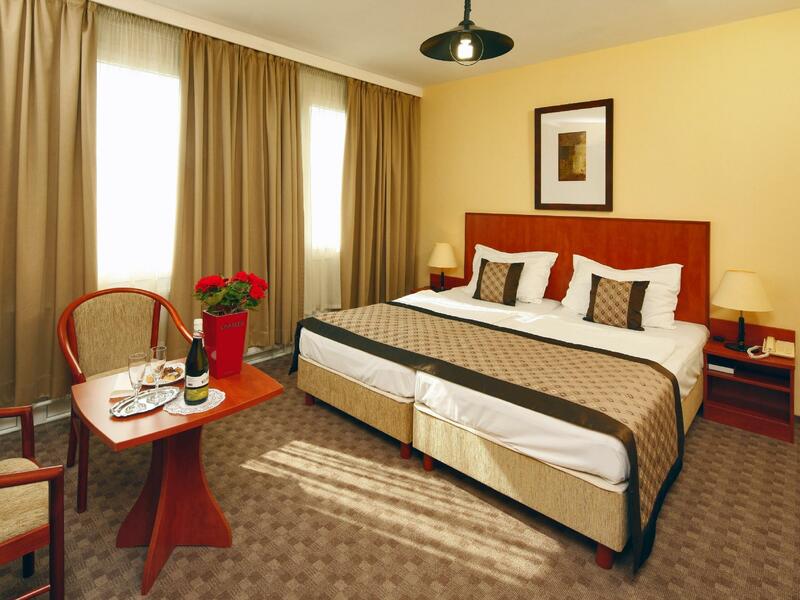 If what you're looking for is a conveniently located hotel in Budapest, look no further than Hotel Charles. The hotel is located just two kilometers from the city center, where shopping areas, historical buildings, and business areas are easily accessible. This 3-star hotel is 22km from the airport and attracts numerous travelers each year. 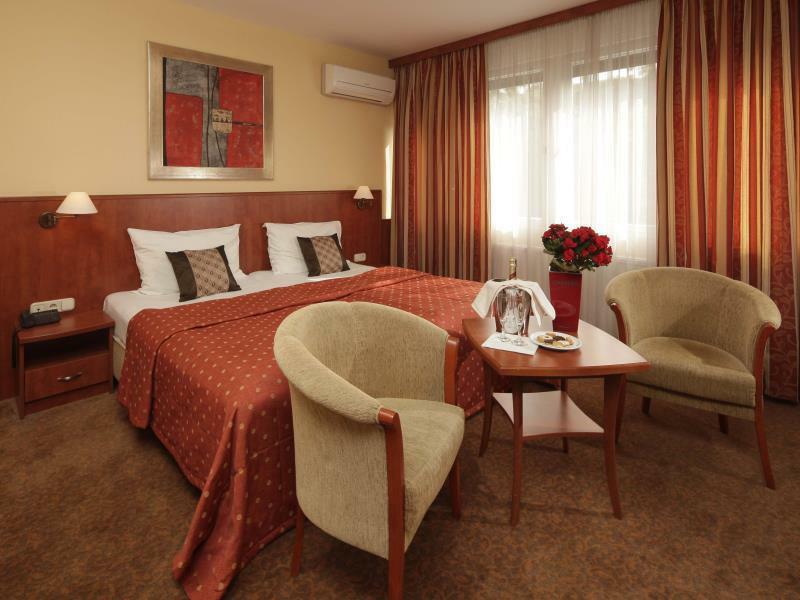 The hotel can be found just a few minutes away from Gellert Hill and the Castle district. Offering hotel guests superior services and a broad range of amenities, Hotel Charles is committed to ensuring that your stay is as comfortable as possible. Guests can enjoy on-site features like safety deposit boxes, a car park, bicycle rentals, and a smoking area. 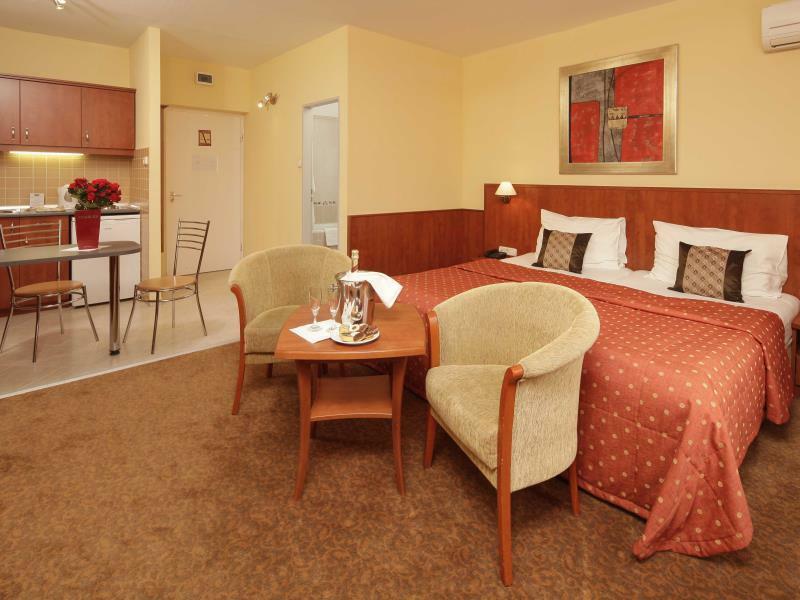 Hotel Charles offers a kitchenette and bathroom with a shower or bathtub. The hotel's host of recreational offerings ensures you have plenty to do during your stay. Discover an engaging blend of professional service and a wide array of features at Hotel Charles. We enjoyed our stay there, although location is a little outside city centre. Rooms are a bit old but clean and with all facilities needed. Staff is a little rude, especially the guy at the reception during the night hours. We needed help getting the AC to work and he was very rude and refused to bring us a remote as without the same AC cannot work! Staff: Each and every staff is very welcoming and friendly. Thanks to the tall guy with glasses in the reception for the warm welcome when we arrived late at night, and even suggesting some sight seeings for our trip without us even asking. Thanks to the big guy at the reception selling us bus tickets and for booking us a taxi to the airport at 4am upon check out. He even insisted to bring our packed breakfast with us because we paid for it, without me requesting for it! Thanks to the girls at the breakfast hall for the very warm welcome every morning. Location: Not really located on the city centre but very accessible through bus (10-15mins ride). The bus stop is literally in front of the hotel! Room: Very spacious and clean room with our own mini-kitchen and fridge. I can’t even believe this is only a 3-star hotel because for me I can consider it a 5-star. Breakfast: Perfect. Their breads are soo good. The ambience (at Janos etterem) is cozy and there are a lot of food choices. Overall, this hotel is highly recommended. This hotel has left us a deep impression, and the convenient transportation in the hotel benefited us a lot. The station was near to the hotel, which can be transferred to every scenic spot in the city. The hotel was also very clean and quiet and the room was large. Every employee in the hotel was very enthusiastic, especially the tall manager. After we arrived at the airport, our four baggage didn’t arrived. They helped me many times to contact the airport. Then the second day received three of them. Budapest is the first stop of our trip, but when we left the hotel, one piece of luggage was still undelivered. So we provide the travel itinerary, they will tell the airport staff to send luggage to the next hotel. Although the last luggage was received after arriving home, the enthusiasm of the hotel service makes us very happy. If there is another trip to Budapest, I will stay here again. Hotel Charles got everything we needed. We especially appreciated a small kitchen corner as we were traveling with a 8 months old baby. Only remark, that something has to be paid extra, AC, smart TV - if you want to use its features.. The hotel was ideally located for me as the trip to Budapest was for dental work and it was just a 20 minute walk to both the clinic and the River Danube. The hotel is also on bus routes into the city centre and the tram line is just a few minutes walk away. The room was a good size and had a 2 ring cooking hob, fridge and kettle although the restaurant was so good, and cheap, that we ate there every night. The concierges were very knowledgable and spoke excellent English and French and were very helpful to my wife when she got a blister on her heel, supplying her with a plaster. I will stay there again in future and have no hesitation in recommending this hotel. Good location for Buda side of Budapest, within walking distance of the Castle, Citadel and good restaurants. Need to take bus or taxi to get over to Pest. Staff very friendly with reasonable restaurant on site. Room was spacious with air con, although a bit dated and 'tired Eastern European' looking. I was on business, so it worked well for me. Helpful staff – if not exactly friendly – and good standard ( had an excellent meal in their restaurant – but definitely on the wrong side of the river. The only two attractions nearby seem to offer 'good views' of the city and not much else. a bit far from city center but accessible with bus. bus stop right at the door of the hotel. The staff were very helpful. The room was lovely and clean. The hotel has a good restaurant for breakfast as well as a la carte lunch or dinner. There is a bus stop at the hotel which takes you quickly in and out of Pest. Location is great and staffs are very good. A little far from city centre to hotel, but there is a bus stop near hotel. Staff are nice and I had nice experience there. Breakfast is good! Very nice. Use bus(8, 110, 113) and go downtown in 3 minutes. Nice hotel for a couple. good location even is not central. the ideal for a couple who wants to spend some romantic moments and visit the city during the day. A "family-type" hotel with all its advantages plus profesional service and friendly staff. Good language capacities. Location excellent with secured parking. As a world traveller, I recommend it. The car park attendant/porter was lovely however the receptionist was not, on several occasions telling me to come back later when I asked him to book things because he had other people to serve, although I had waited my turn each time. Helpfully advised (after selling us a ticket for the spa) that it would be hard to get back to the hotel because the bridge would be closed but unhelpfully didn't offer suggestions. I had to give ideas to which he responded yes or no. The room was more like an apartment with a separate kitchen but very hot (it was 38 degrees while we were there). The drinks in the fridge were hot. A relatively long walk into town given the heat but cheap taxi ride home (after realising we'd handed over the wrong note and paid 10 times the correct fare. We had to ask the driver to give it back because he clearly planned to keep it given the way he folded it over before showing us what we'd handed him, in an attempt to hide the 0 on the end). Walking distance to the castle as well. the hotel building looks old and a bit shabby, but don't worry- the hotel from the inside is clean and renovated. our room did looked a bit tired, but it was quite spacious and everything we needed was there (we stayed in the standard room). the staff was very friendly and helpful (a bit too much even :p). i can definitely recommend the breakfast - it's excellent! there was a bit of a confusion with the city tax- we thought that we had already paid everything in advance, but when checking-out, they informed us that we have to pay the city tax in addition. the money wasn't that big, but like i said- we were sure that we had everything already paid for.